High Precision double helical focuser for guider scope / finder scope Interface. The solution for telescopes or telephoto lenses with sluggish focusing. The Focuser has a fixed orientation - so there is no rotation of mounted cameras or eyepieces - or also the field of view with your guide star - when focusing. 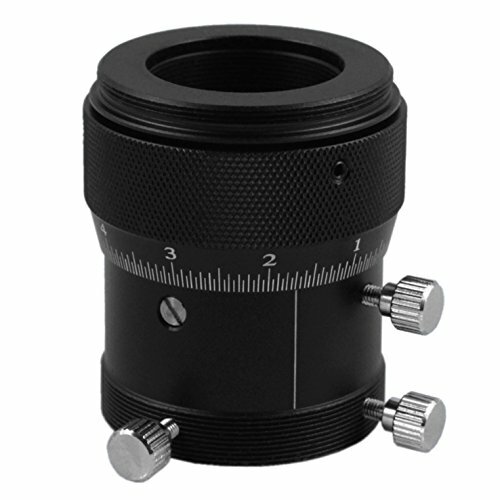 Upgrade your R&P focuser by adding it to the end of the R&P focuser by using "Astromania M42X0.75 Female to M42X0.75 Female Thread Telescope Adapter - 9mm". Note: please make sure that there is M42X0.75 male thread on your R&P focuser.